Living in the Las Vegas desert, you never want to be without your HVAC system. 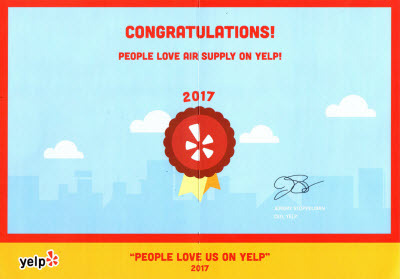 With Air Supply Heating and Air Conditioning being the leading professionals in the industry, commercial businesses and residential homes have come to call upon us being locally owned and operated along with being fully insured, bonded and licensed, our certified and experienced experts are eager provide you with premium HVAC system services. 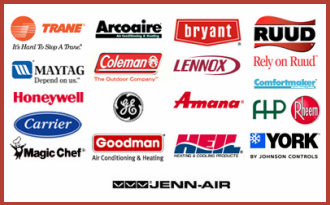 Air Supply Heating and Air Conditioning take full advantage of exclusive processional grade equipment, tools, supplies and production in additional to top of the line, name brand merchandise in conjunction with our talents and skills, we give our valued customers superior results. When it comes to your air conditioning unit, troubleshooting the various issues it represents can be a challenge, with Air Supply Heating and Air Conditioning; we can help you get your commercial business’s or residential home’s HVAC system up and running smoothly. –	Check the power panel to be sure the breaker didn’t flip. –	Ensure thermostat has fresh batteries and is fully functional. If those 2 things are not the issue, continue down the checklist. –	Cut the power to your unit, by turning it off at the source. –	Clean and/or change the filter accordingly. –	Inspect the coils for ice, if ice is present flip the power and the fan back on. –	Condensate drain needs to be thoroughly cleaned, ensure there are no obstructions. –	Outdoor compressor needs a close look and cleaning. To keep your air conditioning unit running efficiently and smoothly, regular maintenance needs to applied, along with an annual maintenance service from Air Supply heating and Air Conditioning. 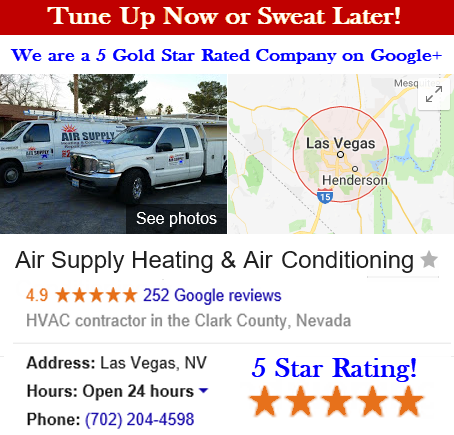 Keeping your air conditioning unit at high peak performance will keep you cool when the Las Vegas summer hits its extreme temperatures, along with saving you energy and money. If your air conditioning isn’t running at top performance, additional energy is being used, thus higher utility bills and your air conditioner taking unneeded abuse. Though air conditioners often require a certified technician from Air Supply Heating and Air Conditioning to make many repairs needed to get your air conditioning unit up in running, there are some simple adjustments you can make to get the air conditioning running smoothly. –	A/C operations are hit and miss. –	A/C is functioning, but not sufficiently cooling. –	Water leaks and/or drips. –	Abnormal noises are emitting from the unit. – Check the main electrical panel and any secondary panels and ensure the breaker did not flip or blow a fuse. A/C circuit breakers need a dedicated 240 volt circuit. If this is the problem turn the breaker switch off than back on, and replace blown fuses. – Inspect the out condenser power switch and make sure it is on. Check the furnace switch as well, it should be off. – Turn off the power to the A/C unit and remove the cover from thermostat, replace batteries, and place the cover back on. After approximately 5 minutes, switch your unit back on. 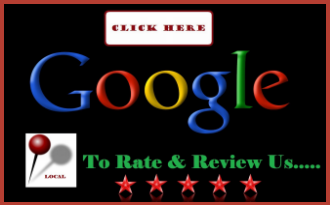 – Still not in working order call a pro from Air Supply Heating and Air Conditioning for further inspection. – Turn off power to the A/C unit. – Remove the door on the A/C unit and clean or replace the filter. – Check for ice, if it is there; replace the cover and flip the unit back on, the ice should be melted away within a couple of hours. – Condensation drain should be cleaned. Air Conditioners remove an abundance of water from the air, the plastic drain pipe is the condensation drain, ensure there are no obstructions and it is clean. – If none of these steps help, call Air Supply Heating and Air Conditioning for an expert approach. With all of Air Supply Heating and Air Conditioning’s years of experience, there are many times when the air conditioning unit need little effort to run smoothly, but in the event you need a professional, have the best of the best assist you, call us today.